When Microsoft announced they were creating a twin stick shooter set in the Halo franchise, the old school arcade gamer in me jumped for joy. I’m a huge fan of the Halo series as well as a huge fan of shoot em' up arcade style games like Geometry Wars and Smash T.V. My excitement was quickly tamed though when it was revealed the game would be a Windows Phone 8 exclusive. After launch Halo: Spartan Assault was ported to Windows 8 for desktop computers and now, Halo: Spartan Assault is available on the Xbox One (with an Xbox 360 version launching soon). For the most part these version are all identical, with the exception being console versions have an exclusive online co-op mode for two players. Having this grand multiplatform game does have some advantages. For one, when I fired the game up on my Xbox One all of my level progress was already unlocked for me. It kept my XP too. Another bonus for folks that picked the game up on Windows 8 - you’ll only pay $5 for the full version on Xbox One instead of $14.99. 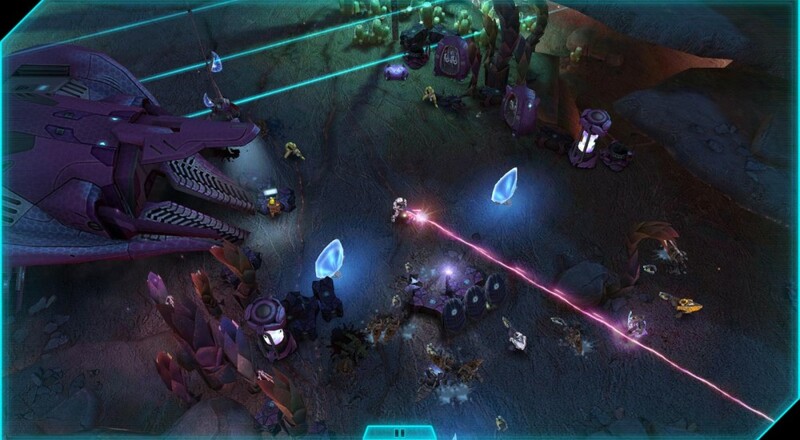 Halo: Spartan Assault is a prequel to the story of Halo 4, putting you into the backstory of the Spartan Ops program and the human vs Covenant battle. You’ll play as Commander Sarah Palmer or Spartan Davis in simulation training aboard the UNSC Infinity. All of the goodness of Halo’s combat is here including weapons like the Battle Rifle, Needler, and Rocket Launcher. The vehicles are here too with missions dropping you into the pilot seat of Scorpion Tanks, stealing Covenant Ghosts, and numerous other opportunities to lose your USNC issued drivers license. 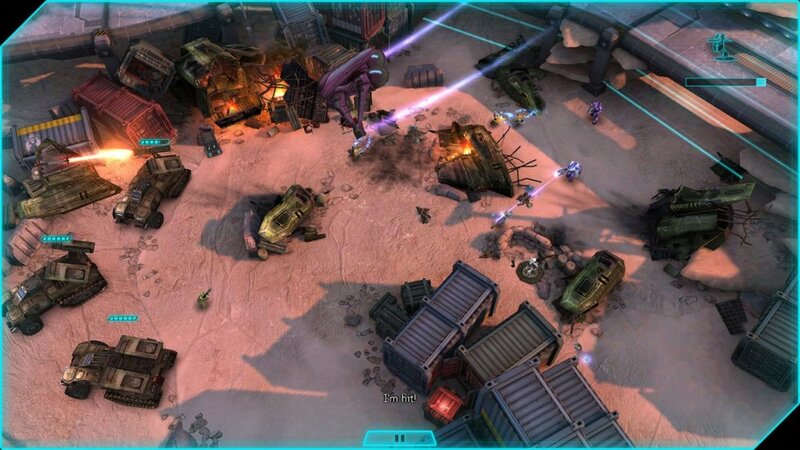 It’s clear the missions in Spartan Assault were designed for mobile play. What does that mean? It means quick get in and get out type scenarios. Most missions last less than 5 minutes, and while there are over 30 missions available, it won’t take long to blast through the entire game. The missions themselves aren’t difficult by any means, instead the replayability and challenge comes in the form of scoring - trying to gold star missions. 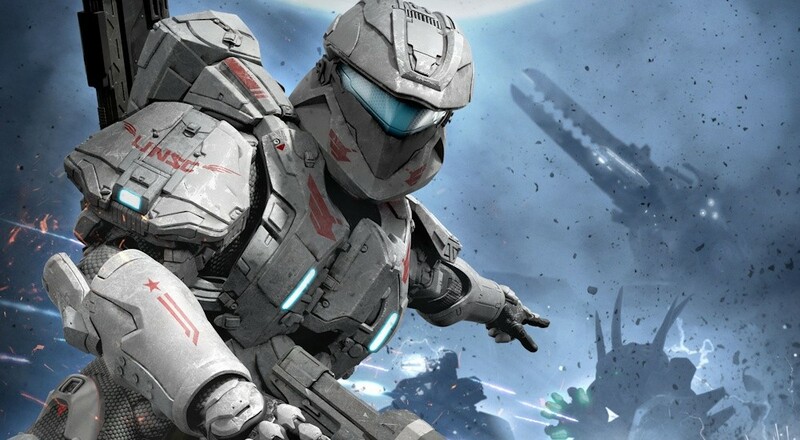 The core gameplay revolves around multipliers much like Halo’s competitive multiplayer, with consecutive and stylish kills yielding higher scores. On top of this is a free to play like system where you spend XP (or cash) to buy boosters, equip more powerful weapons, and generally change how a mission is approached. While each mission gives you two default loadouts to choose from, you can customize it further and bring a sniper rifle, rocket launcher or other favorite weapon for a price. Perhaps the overshield isn’t the Spartan Ability you’d like to use, you can swap it. Again this is pulled from your XP which you earn simply by playing missions, but if you run out, you’ll have to use real money if you want any further customization. The missions are a lot of fun and there’s a good variety of objectives. In some you’ll have to guard engineers while they power down shields for access to a Covenant base. Others are simple vehicle missions, get in a Scorpion tank and roll through the enemy. There are strategic ways to accomplish goals too, while running and gunning is always an option, you can go stealth too. In one missions I equipped invisibility and stole a wraith tank rolling through enemies instead of blowing up the tank. All that said the short mission style does harm the immersion factor a bit, almost making the game feel monotonous at times. I never found myself playing for more than 15 or 20 minutes at a time simply because of the back and forth hassle in and out of missions. And really if you aren't a fan of twin stick style action games, you may get bored quickly. Page created in 0.4907 seconds.